How do I control when uploaded photos are saved to my camera roll? Whenever you upload a photo to a listing, a copy of your listing photo is saved to your camera roll by default so that you can preserve any photo edits that have been made in the app. 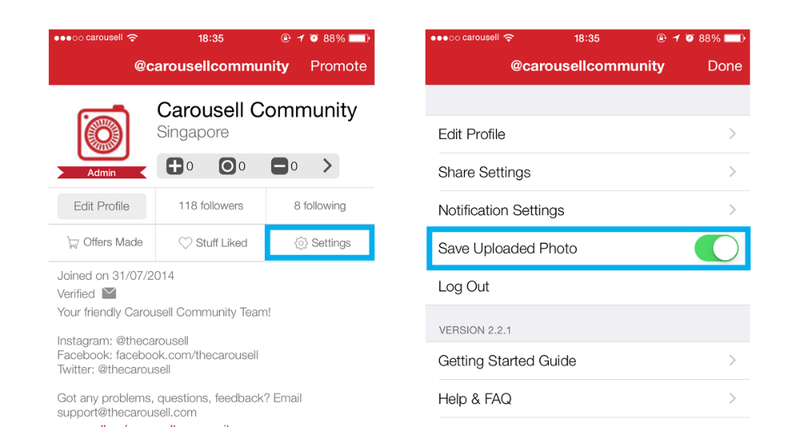 If you do not want duplicate photos to be saved however, you can turn off this function in your "Settings" page. To do this, go to "Me" --> Settings, then toggle the on/off button on "Save Uploaded Photo". How many photos can you upload per listing? Can you upload multiple photos at one go?